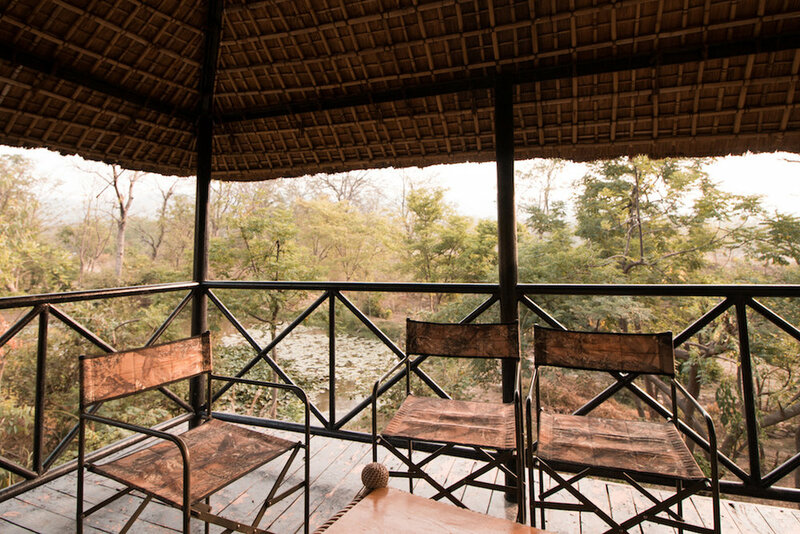 A more luxurious stay in Corbett National Park there is not. 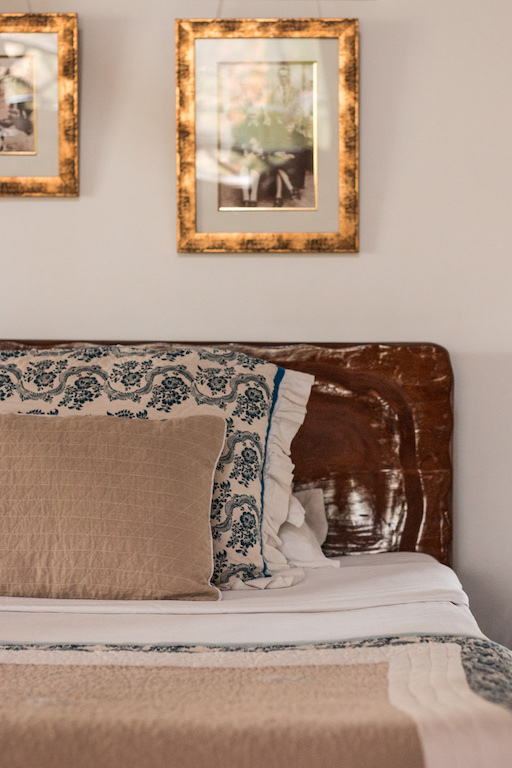 Comfortable cottages are decorated in a safari style chic. Delicious choice of both Western and Indian food, excellent guides, very eco-conscious: from its largely organic menu to zero tolerance policy on plastic. Oh yes, and there's a spa. Ideal for families it offers something to please everyone. A family affair, Daleep Akoi, first fell in love with the beautiful Kumaon region, in which Jim's Jungle Retreat lies, during his childhood "Corbett pilgrimages". Much like the he eponymous Jim Corbett himself, Daleep soon too became a passionate conservationist, and decided to give his best efforts to preserving this corner of Corbett National Park. And so, in 1998, this fifteen acre, eighteen roomed, boutique hotel, was born. 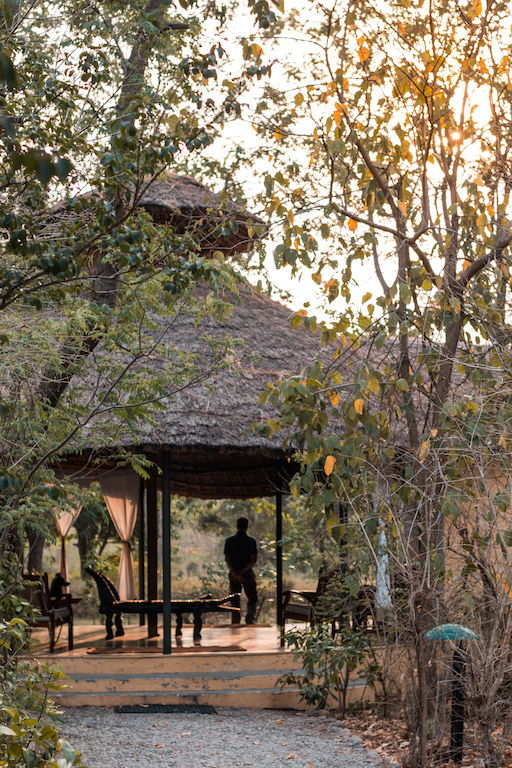 You won't find a more comfortable, more luxurious stay, with better guides and green credentials. Jim's Jungle Retreat is without competition the best place to stay. Choose between cottage and lodge accommodation. The lodges are truly enormous, a house if anything, and ideal for romantics wanting total privacy. The cottages, located right next door to one another, are perfect for families and include both doubles and twins. 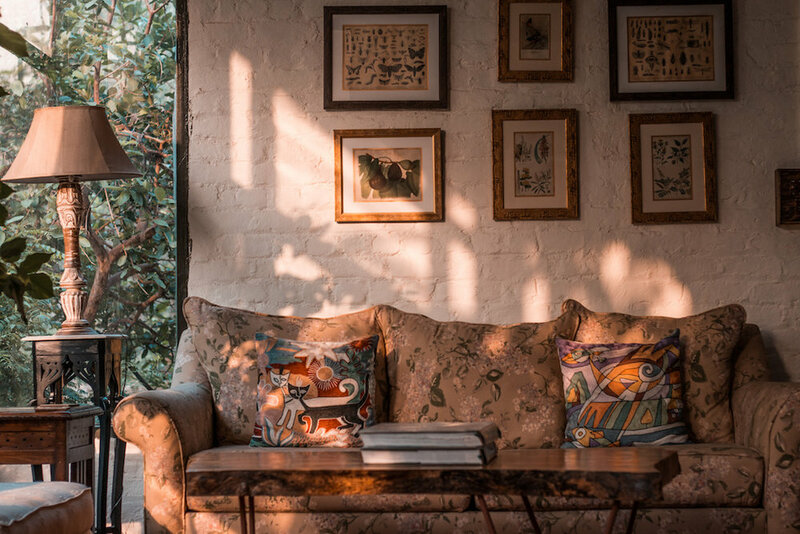 Black and white photographs of notables figures from Corbett National Park's history adorn the walls, whilst chintz fabrics and palatial beds, provide levels of luxury exceeding those expected in a national park. 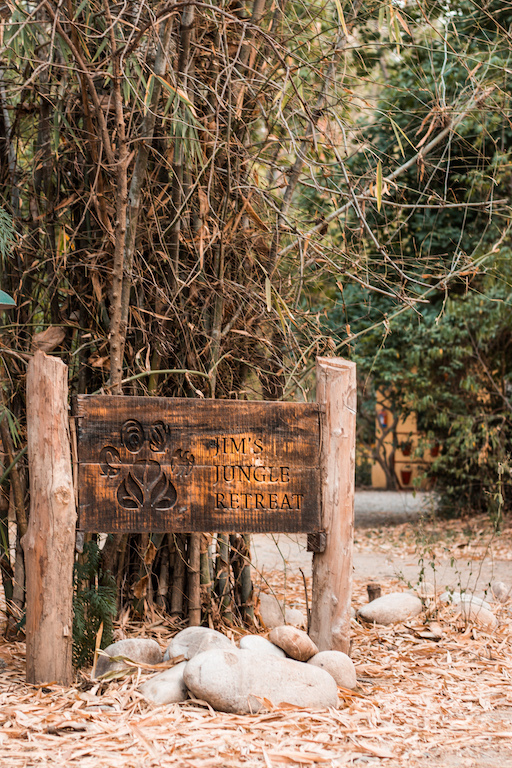 Essentially an eco-jungle stay, Jim's Jungle Retreat surpasses expectations at every turn. The food. Now that really is something to write home about. 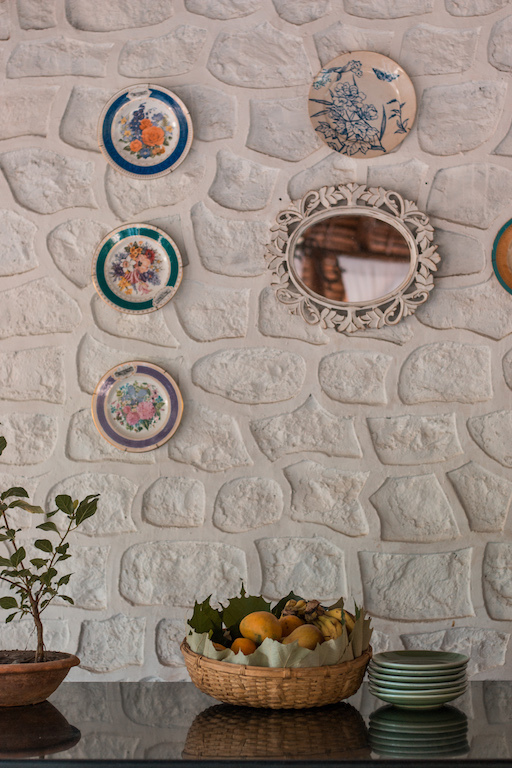 For lunch we dined on baked aubergine Parmigiana, crunchy zucchini, root vegetables, and a DIY salad to start, straight from the property's organic vegetable garden. Attracting a wonderful group of like-minded travellers, one dinner was wiled away with new friends over Indian favourites of crispy okra, dhal, kofta, and chicken tikka. Oh and a mango cheesecake to finish ('twas the season). Breakfast was a little limited by comparison to the Epicurean feast other meals entailed, but delicious none-the-less, and included "the best coffee in Uttarakhand" - a statement I don't disagree with. 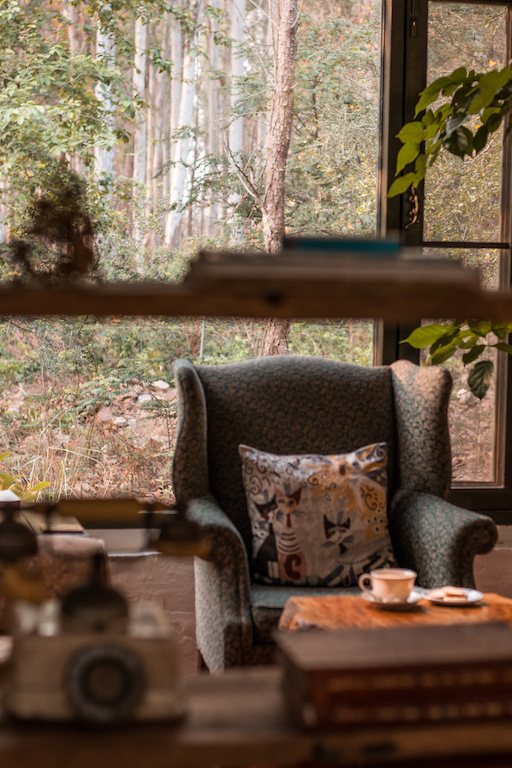 Make sure to join for afternoon tea in "The Café" (far more than a mere café, a floor-to-ceiling glass structure, with rooftop seating area, comfy sofas, and full to the rafters with books end magazines) - one of the best spots in the whole hotel. Passionate about conservation, they staff truly practice what they preach. The fifteen acre property borders Corbett Nation Park, and the night camera videos (which you can see footage of some evenings) prove just how close you are to the action! Committed to conservation, JJR encourages their guests to be mindful of their water consumption whilst practicing a zero-tolerance policy on plastic bottles. An inspiring property, there isn't a better place to go in search of the elusive tiger in Uttarakhand (of which we spotted two - by the way)! The perfect guest: Loved by families and wildlife enthusiasts it is luxurious enough for travelling romantics too. Spa: Yes, Ayurvedic treatments available. Gym: No. Pool: Outdoor pool. Rates: From £105 per night per room. Inc. breakfast. Ex. taxes. Words and images by Megan Lambert.